Abu Dhabi, 21 March 2016: Manzil Healthcare Services, one of the largest home healthcare providers in the UAE, has received accreditation from Joint Commission International, the worldâ€™s largest and most recognised healthcare accreditor. Founded by Emirati physician Dr Ghuwaya Al Neyadi, who is now a member of the Board, Manzil Healthcare provides individualized care to patients at home through a team of highly qualified and licensed physicians, nurses and therapists. Manzil Healthcare marks the second investment of TVM Capital Healthcare Partners made into a UAE based healthcare company founded by a woman. The company has developed rapidly since receiving investment from specialist private equity firm TVM Capital Healthcare Partners in 2012. Partnerships with leading U.S. healthcare establishments, and a commitment to quality patient care have been central to the companyâ€™s success, helping to ensure consistent delivery of world-class care. With an unwavering dedication to quality, Manzil has served people across the UAE as they cope with illness, or rehabilitate after hospital discharge, helping them to continue to lead better lives, said Dr Helmut Schuehsler, who serves as the Chairman of the Board at Manzil Health Care Services and CEO of TVM Capital Healthcare Partners. 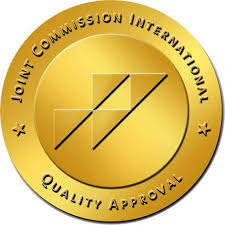 The JCI accreditation strengthens Manzil Healthcareâ€™s existing range of affiliations with best-in-class international experts and institutions, which include a partnership with the Spaulding Rehabilitation Network, a Harvard Medical School Teaching Hospital, and the Joslin Diabetes Center, the worldâ€™s largest diabetes research center. Manzil also has an alliance with Planetree Inc., a not-for-profit organization that aims to transform the way healthcare is delivered, through an ethos of patient-centred care. Iâ€™m very proud of our team of more than 300 employees and their commitment to continuous quality improvement and how they deliver healthcare on a daily basis. Because of everybodyâ€™s joint efforts, we were able to achieve the Gold Seal of Joint Commission International, recognising the quality services and processes we have at Manzil, said Ann Helen Viken, Managing Director of Manzil Healthcare. Manzil has become a true center of excellence, filling a previously unmet need in the UAE. Our Managing Director International, Jad Halaby, is leading the process of expanding this successful home care concept into other markets in the Middle East and North Africa, with offices in Cairo, and Qatar in the process of opening. These JCI accredited processes and quality protocols will soon be replicated in these exciting growth areas in MENA, added Hoda Abou-Jamra, Founding Partner of TVM Capital Healthcare Partners and a Board member of Manzil Healthcare. Manzil Healthcare was established in 2011 to deliver a range of services, including continuous care of chronic conditions at home covering both pediatric and adult patients, senior care, diabetes management, wound care, post hospital discharge care, as well as comprehensive physiotherapy.